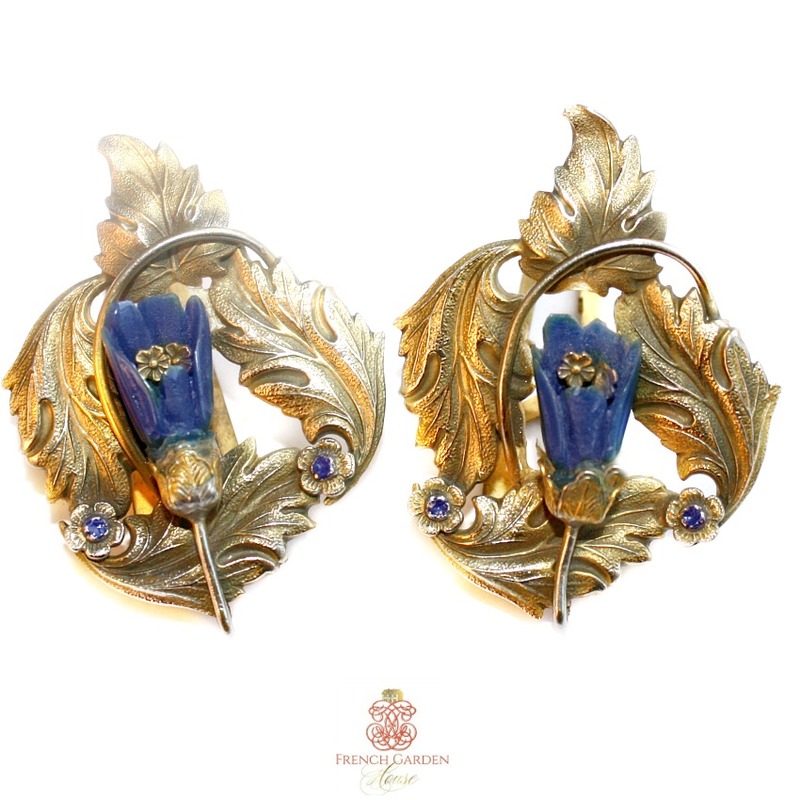 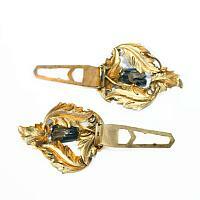 Pair of beautiful Vintage Dress Clips, made of gilded metal leaves with a blue floral design, so charming. 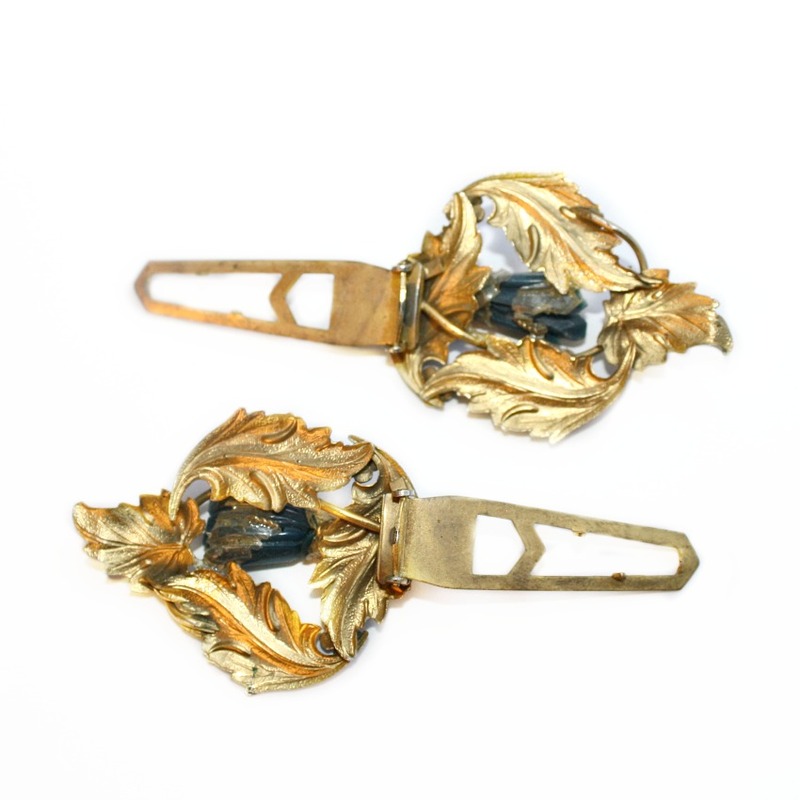 Dress clips were worn in pairs, often opposite one another on the neckline or straps of a dress, with the streamlined "new look" of the flapper era. 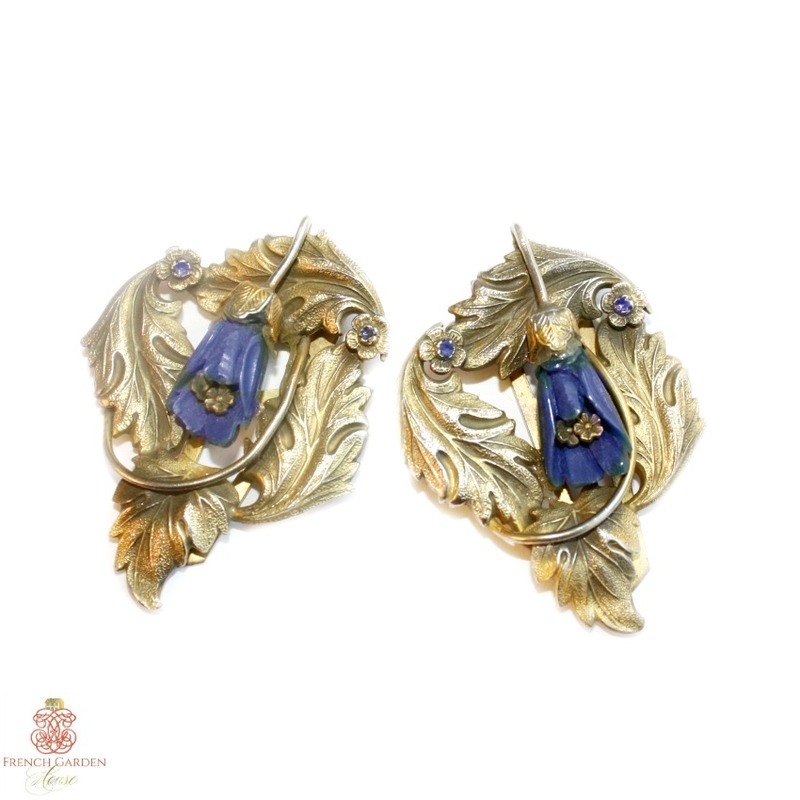 This type of clothing called for more ornamentation, and designers like Coco Chanel furthered the popularity of costume jewelry by designing special clips and brooches for each dress. These clips are beautifully designed with their ornate leaf motif and a single, elegant blue flower on each pin. 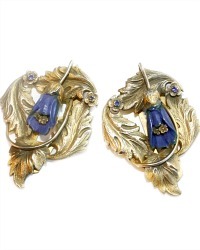 These days, inventive fashionistas are wearing their dress clips on necklines, but also in their hair, on a belt, scarf, or even clipped to a designer purse!